Do your eyes deceive you? Or have these fish gone for a walk in the woods? and more, this poster adds a splash of color and fantasy to your walls. 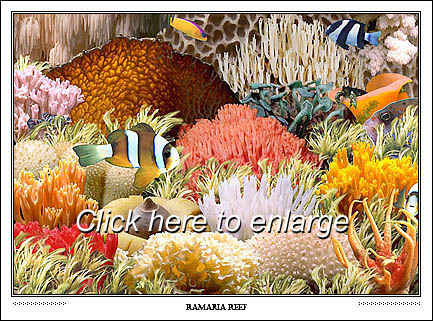 Ramaria Reef is the newest poster by Taylor, and a hit with divers and mushroom lovers alike. Dimensions -- 24" x 18"